It's no big secret how much I love to read. From the time I was a little girl, one of my very favorite activities has been curling up on the couch with a good book. I made the hefty goal of trying to read 50 books this year, while I didn't come as close as I'd like to have; I'm still pretty pleased with my progress. I have a Pinterest board in which I use to track the books I've read throughout the year, feel free to take a peek at my list. While I really enjoyed just about every book on that list, I chose six of my favorites to share with you. Perhaps you've already read them but maybe you'll be inspired by some new titles. By far my top favorite read of the year was Animal, Vegetable, Miracle. I read this early on and it really changed some of my views on the food we eat. 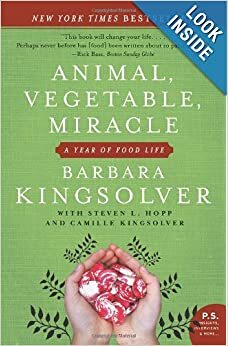 Author Barbara Kingsolver and her family vowed for one year to only purchase food grown in their own area, grow their own or simply do without. It's hardly an easy task, but they made it work and did an awesome job if I might say so. Divided into seasons, the book is also filled with recipes giving you ideas for seasonal produce. I loved this so much, I just might read it again in the new year, this time breaking it down and reading with the corresponding season. If you pay attention to my book lists, you'll notice I don't read much for fiction. But when I do, it's a really good book...well to me anyways. 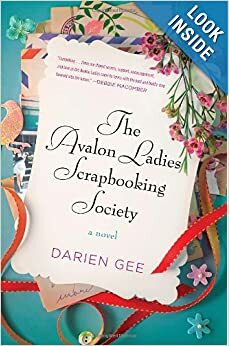 I really enjoyed Friendship Bread so I was really excited to read the sequel, The Avalon Ladies Scrapbooking Society. You'll love this story centered around friendship and helping others in a time of need. Another great read centered around eating locally and on a strict budget at that! When Robin Mather's husband of twelve years decides he wants a divorce and she's laid off from her job all within the same week; she's forced to make some pretty hard decisions and quickly. She decides to relocate to her cabin in Michigan where she'll allow herself only $40 each week for groceries, and trying to purchase only local ingredients. Robin takes us along her journey, telling us stories and sharing her recipes along the way. 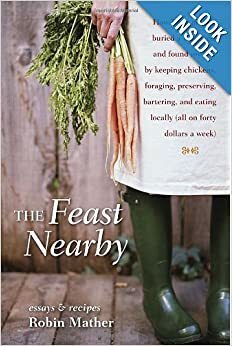 You've got to pick up a copy of The Feast Nearby, you won't be disappointed! I have to say, I'm very thankful for my local library. Without them I don't think I would have the chance to read as many books as I do. I love that I can request for them to purchase a particular book I'm looking for if it's not already on their shelves. 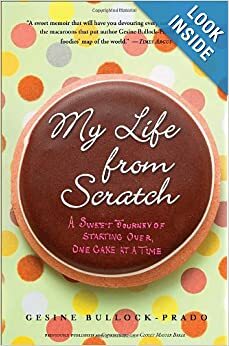 My Life From Scratch was another book this year they purchased and reserved for me to read right away. It's been one of my to-read list for a long time, and I quickly devoured it. I had no idea the author was Sandra Bullock's sister! She's a very talented baker and you'll love her story of how she gave up her big-time Hollywood job for one that she absolutely loves, operating her very own bakery. What parent doesn't struggle at one point or another with their child's eating habits? I'd be lying if I said my kids were perfect eaters. I don't think they're too picky for the most part and do enjoy a large variety of dishes, but we have our own battles from time to time. When our youngest actually eats most of her meal, it's a miracle! Seriously, I think the kid lives off of fruit (and bell peppers) some days. 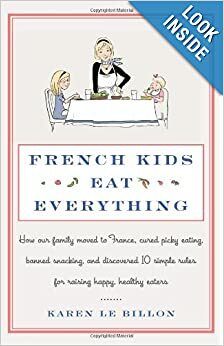 You can read my detailed review for French Kids Eat Everything here. This last book was another fiction read and was also the most meaningful. 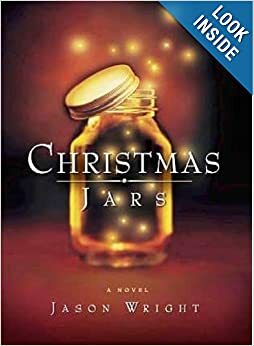 I discovered Christmas Jars in November and was instantly touched by the meaning behind it. Reporter Hope Jensen discovers a jar filled with coins and bills right outside her apartment one night after it had been broken into. Where did it come from? Who brought it? She didn't know. Determined to find out more regarding these mystery Christmas jars that seemed to appear out of nowhere, she becomes close with the family who seemed to start it all. Upon finishing this quick read, I immediately spoke with Josh and we agreed to start our own Christmas jar. By that time it was already close to Thanksgiving so I knew we would be cutting it close to fill this jar with change. We worked hard, making sure to use cash much more than we normally do so we could add as much change as possible. Even the girls helped. We also had no idea whom we would bless this jar with, just prayed daily for God to present the perfect family. It was such a blessing to be able to deliver our jar right before Christmas, we felt God really did help us pick the right family and we're so excited to carry on this new tradition in 2014!